The tabletop wargaming scene is changing. More game systems are emerging. Gamers are demanding more bang for their buck - both on the tabletop and in their local gaming stores. 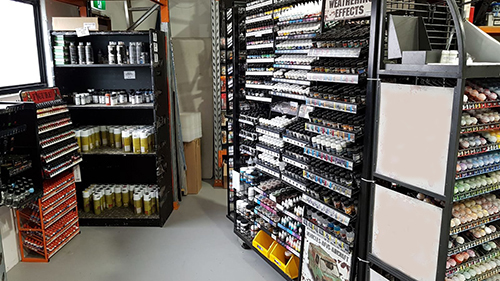 We specialise in the distribution of the world's most popular tabletop wargames, hobby tools and accessories. Let us help you navigate the evolving landscape of wargaming in Australia, so you can keep your local gamers up-to-date with the latest and greatest, and stay competitive on a worldwide scale. We are always on the lookout for new products to distribute. We can handle anything from the smallest box to multiple containers. Copyright © 2004-2010 Modifx Ptd Ltd. All rights reserved. Products sold by Modifx Pty Ltd are not suitable for children under the age of 10.